In September 2011 CCLP released a comprehensive report examining the role of social networking sites and online classified ads in facilitating human trafficking. 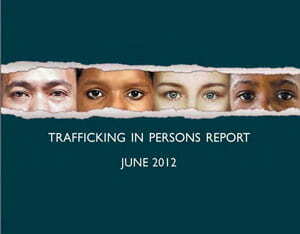 The full report can be found at: technologyandtrafficking.usc.edu. The Technology and Trafficking in Persons Research Project was an initiative of the USC Annenberg Center on Communication Leadership and Policy created to study the current use and broader implementation of information communication technologies in the international fight against human trafficking and modern slavery. 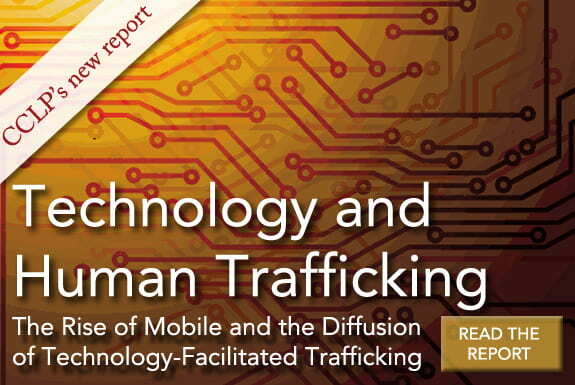 Furthering the work of CCLP’s Technology and Human Trafficking Initiative, former research director Mark Latonero and CCLP published a second comprehensive report on the topic based on a $130,000 research grant from Humanity United. Mark’s team traveled to the Philippines to conduct field research and investigate online labor recruitment. The report, Technology and Labor Trafficking in a Network Society, released in February 2015, was distributed widely to inform government, NGOs, researchers and the business community on how to improve future interventions in forced labor and exploitation. The report includes the story of a young woman from the Philippines who was stranded in Malaysia after being misled by a deceptive labor recruiter. Despite having a mobile phone she did not want to call her family and make them worry. While being transported to an unknown destination by her brokers, she was apprehended by police. Interrogated and imprisoned, she hid her phone and called a friend for help. After a month the Philippine government finally intervened. As it turned out, the woman’s phone served to connect and disconnect her with unscrupulous recruiters, as well as support. The report found that migrant workers who are isolated from technology and social networks are more vulnerable to human trafficking, forced labor, and exploitation, but that technology can also be part of the problem. According to the U.S. Department of State’s 2012 Trafficking in Persons Report, it is estimated as many as 27 million people around the world are victims of modern slavery, what we sometimes call trafficking in persons (TIP). U.S. Secretary of State Hillary Rodham Clinton delivers remarks at the release of the 2012 Trafficking in Persons Report at the U.S. Department of State in Washington, D.C. on June 19, 2012. Since the Trafficking Victims Protection Act (2000), international relief organizations, law enforcement agencies, and government institutions, led by the United States Department of State, have collectively improved the global strategy to combat human trafficking. Additionally, under the direction of the United Nation’s Protocol to Prevent, Suppress, and Punish Trafficking in Persons, Especially Women and Children, or Palermo Protocol, international governments have established the foundation for long term success with the “3P” paradigm of prevention, criminal prosecution, and victim protection. Regardless of whether it is coordinating law enforcement operations or providing survivors with medical and social services, communication and information sharing are critical to lasting success.